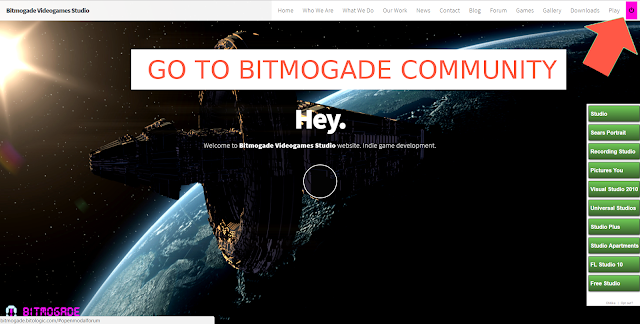 The web Bitmogaed Videogames already redesigned and the new design has been implemented has a forum dedicated game development. 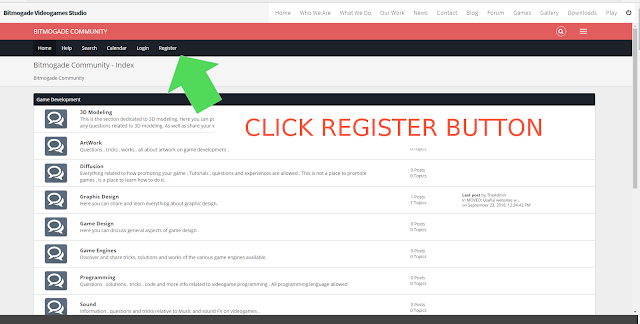 The forum is open to all visitors but can only respond and write new topics registered users. You can log-in or enter with your facebook or google account. 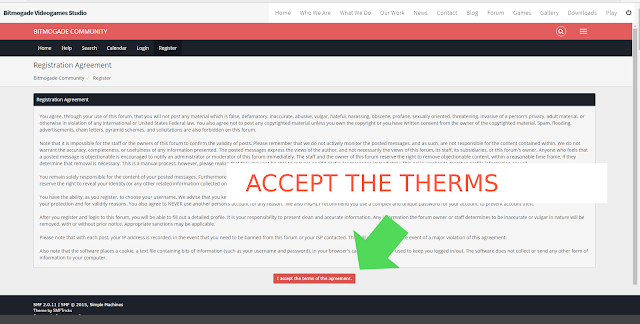 Here you have different ways to participate in the forum. 1- Click on on/off button in the right top corner. 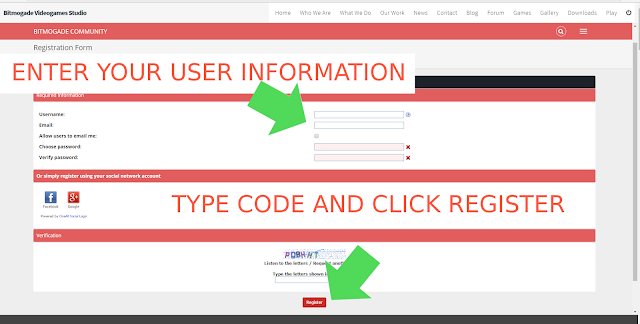 4- Enter your user data , type the code and click register.